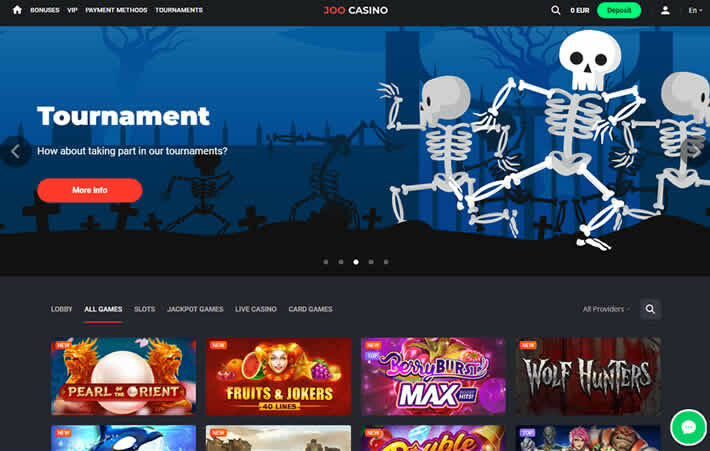 Joo Casino came online in 2017, making it one of the younger online casinos in operation today. The site itself is not entirely new, however. It is more of a rebranding carried out by the casino operators. The Princess Star brand was retired, and Joo Casino was launched in its place, with much of the same software and features. Overall, the operators of Joo Casino have done everything they can to make their games accessible to as many people as possible. They will accept players from many areas that often find themselves rejected – like Australia. They have Bitcoin into their many available payment methods. Most payment methods are instant for both deposits and withdrawals. While the casino owns a license from Curacao – which doesn’t help players much – we also need to mention that the group behind operations has good reputation. They also handle other successful casino sites like Gunsbet, Loki Casino and Megawins. Of course, making it easy to get in and giving you a warm welcome feeling isn’t going to mean much if there’s nothing to see once you’re inside. Don’t worry though, there’s plenty to see at Joo Casino. There’s a wide selection of games from top casino providers around the world in every genre. There are plenty of table games, including quite a few variations on standard games that are not so easy to find. You’ll also find live dealer tables for blackjack, roulette, punto banco, casino hold’em, and more. Then, as you would expect, there are also more video slots than any mere human could play, including loads of jackpot slots with the possibility of major payouts. These days getting real value for your wagers is just as important good game selection. The gang at Joo Casino have that area covered, too. There are plenty of generous bonuses for both new and returning players. Those who keep coming back will also climb through levels in their VIP program to get even more rewards. As was mentioned above, there are plenty of banking options to make deposits and withdrawals as easy as possible. They will also accept deposits in several different currencies including EUR, USD, BTC, RUB, SEK, ETH, LTC, BCH, and DOG. At the time of writing, the casino works with Visa, Mastercard, Maestro, Skrill, Neteller, ecoPayz, paysafecard, Zimpler, Bitcoin and Sofort. All deposit methods are instant, with the exception of Sofort. Withdrawals made to Bitcoin or e-wallets are also instant, with credit card and bank transfer withdrawals taking from one to five days. Not all deposit or withdrawal methods will be available in all areas, so you’ll need to check to see which specific options you can use. It should also be noted that because of the fluctuations in the value of bitcoin, deposits made with bitcoin can’t be converted to any other currencies, such as EUR or USD. For the casino bonus chasers out there, you’ll find good welcome and returning player bonuses available. New players can get up to AUD2,500 + 170 free spins, and returning players can take advantage of regular weekly deposit match and free spin bonuses. The welcome bonus for new players is distributed over your first four deposits. You’ll receive a 100% deposit match up to €100 plus 100 free spins on your first deposit. Your second deposit earns a 50% match up to €100. You’ll receive a 75% match up to €150 on your third deposit. When you make your fourth deposit you’ll get a 100% match up to €100 plus another 50 free spins. For returning players, there are two regular weekly promotions. Every Monday players get a 40% deposit match up to €100, and on Wednesdays, you can earn up to 50 free spins. The VIP program at Joo Casino runs in seasons. Players can collect points throughout each season to earn both instant rewards and end-of-season prizes. With each new season, the count resets and you’ll have the opportunity to win a whole new set of bonuses and prizes. Points are earned simply by playing any of the casino’s games. So, there’s nothing you need to sign up for or anything extra that you have to do. Just play the games you like to play and you’ll be on your way to moving up through the seasonal VIP levels. As mentioned previously, there are plenty of ongoing promotions at Joo Casino. The bonus terms aren’t user friendly, so I would recommend to participate only in case you want to boost your bankroll, without withdrawals in the short term. You shouldn’t have any trouble finding what you’re looking for at Joo Casino. They’ve got quite a large catalogue of games — so they’re highly likely to have what you want — and everything is easily searchable. If you’re just looking to browse, the front lobby will show you top games, new games, and games the casino currently recommends. You can also list all games, just slots, just slots with jackpots, live dealer games, or their impressive list of card games. If you’ve already got an idea of what you’d like to play, you can jump right to it by searching for the name of the game you’re interested in. If you happen to be a fan of a certain game developer, you can also filter any search by game providers. As for who those providers are, you’ll find games from no less than 21 different developers. Among them, you’ll see names like NetEnt, Betsoft, Booming Games, Evolution, Habanero, Pragmatic Play, Microgaming, Play’n Go, Yggdrasil, iSoftBet and many more. Another nice feature of Joo Casino is that most of their games are available to play for free without an account, so you can look over what they have to offer before you give them any of your personal information. It’s hard to say exactly how many games are available, but it seems as though the number would easily pass 1,000. Joo is a multiplatform casino with a powerful game library. How about getting started with the best slot tittles offering higher winning chances? You can easily access Joo from your mobile device, on the go. The gaming platform was built entirely in instant play – no download required, accessible from any web browser. Joo Casino is fully optimized to run in Android and iOs devices. It’s important to note that — for those interested in a bit more privacy for their personal financial business — Joo Casino is a cryptocurrency friendly casino. Bitcoin can be used for both deposits and withdrawals, with transactions both ways credited instantly. It can also be a very effective way to transfer money for anyone who doesn’t have a credit card available or access to an e-wallet. Bitcoin transactions can be conducted safely and anonymously from anywhere in the world. For Australian players looking to play some new pokies, we’ve got good news for you! Joo Casino accepts players from Australia. You can even deposit and maintain your account in Australian dollars (AUD). The fastest withdrawal methods available to you are VISA and BTC, with same day payouts. You can also use wire transfers for higher sums, but this may take up to 4 days. So if you’ve been having trouble finding an Australia friendly online casino, you should definitely check here. While many such casinos have limited game selection and deposit methods, Joo Casino provides an excellent experience on both fronts. 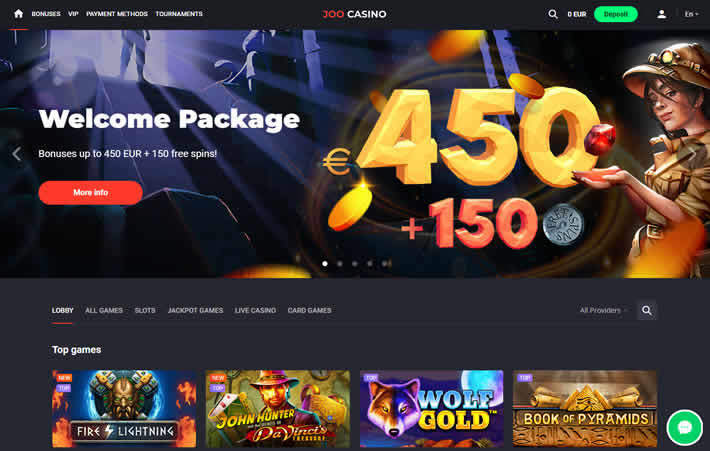 The bottom line is that Joo Casino has all the right indications of a trustworthy and legitimate gaming site worth your time to explore. The company is licensed by the government of Curacao, which means their operation and games are regularly inspected. They are also working with some of the top gaming providers in the industry, who would not risk their own reputation and licenses by working with a site that was anything but fair and lawful. 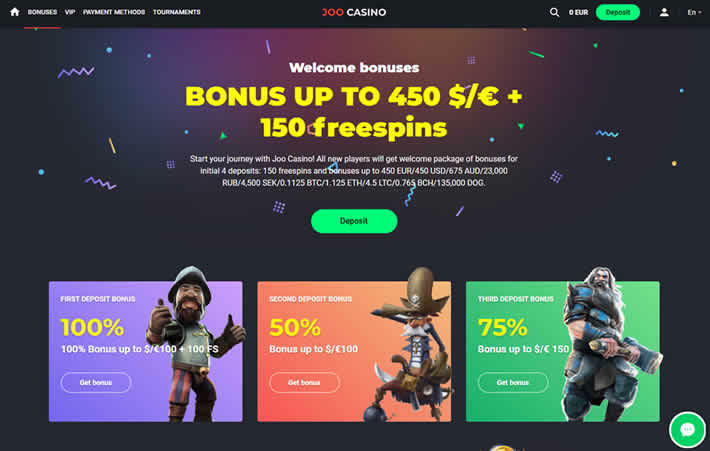 Especially if you’re in an area where you might have problems finding online casinos that will except you, Joo Casino could be just what you’re looking for. The ability to use bitcoin for deposits and withdrawals is another tick in the plus column that not all casinos offer as well. If you’ve been looking for a new place to play and wager, you’d be doing yourself a favour to add Joo Casino to your list of possibilities. Huge game library + live dealer + BTC games. Reputable operator, known for paying fast. USA & UK players not accepted.